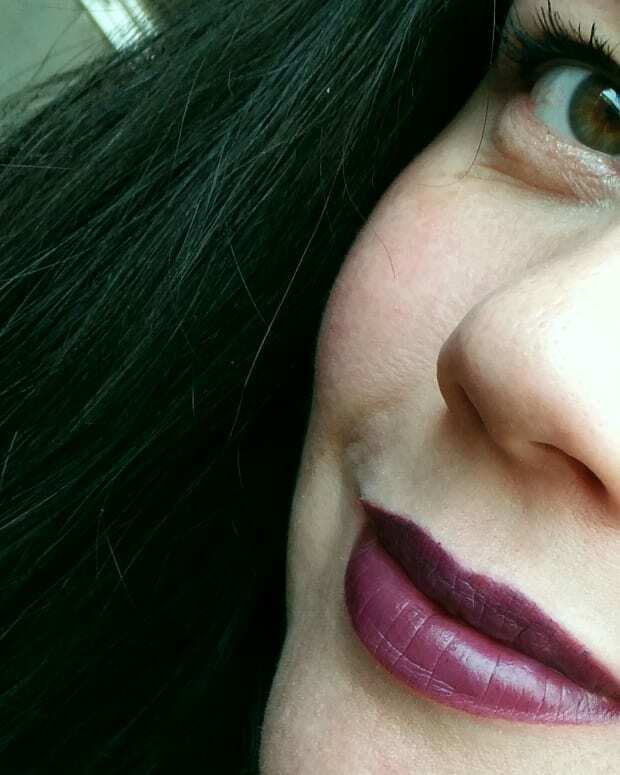 Thought wearing two different shades of lipstick -- one on the upper lip, the other on the lower -- is too weird for real life? It's not. 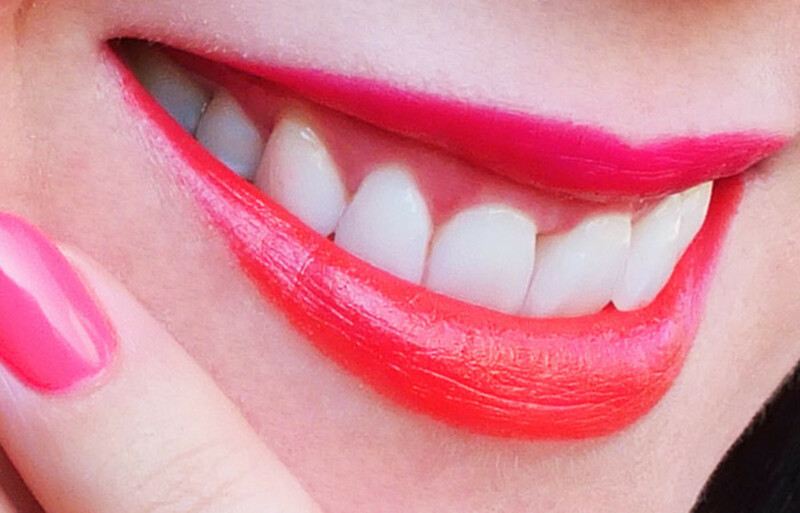 Two-tone lipstick might one day move from your Never! list to your Of Course I Can list. Seriously -- it has for me. I was inspired by this gorgeous Kit photo featuring makeup by Vanessa Jarman, Canada&apos;s spokesperson for Rimmel London cosmetics. In fact, I&apos;m wearing exactly the shades she used: Rimmel London Lasting Finish by Kate lipstick in 02 and 12 ($5.99 each). Fuchsia (02) is on the upper lip; warm orange (12) is on the lower. This works because although one is a blue-based pink and the other a red-based orange, they&apos;re the same intensity. 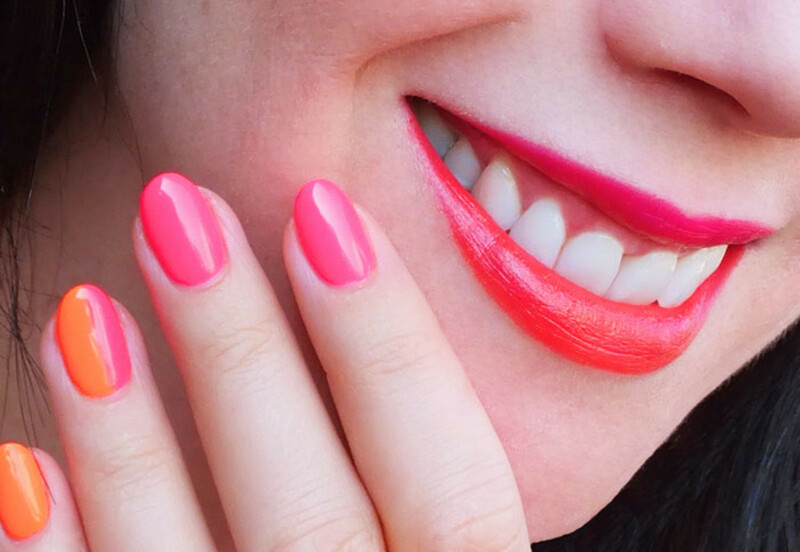 The playfully bright shades make it work, too -- it&apos;s a playful application. To keep the shades true, I have to remember not to press my lips together when applying the lipstick, nor throughout the day. (Note: I said press lips together. I never rub my lips together because it ruins an even application by smushing all the colour to the outer edges of the lips.) And the rest of my makeup is pretty simple, as it always is with bright lipstick: even complexion, lightly defined brows, lots of mascara, a touch of blush. The colours are brighter in my raw photo than my cropped-and-dropped-into-Wordpress images. (Those nails are actually neon. A two-tone variation on an ombrÃ© manicure, it&apos;s probably another reason I was primed to try this lipstick pairing.) If you know me, though, you&apos;ll probably see these shades on me in real life. I&apos;ll be wearing them together again. Love. UPDATE: Look how good the two-tone lip looks on Rae! 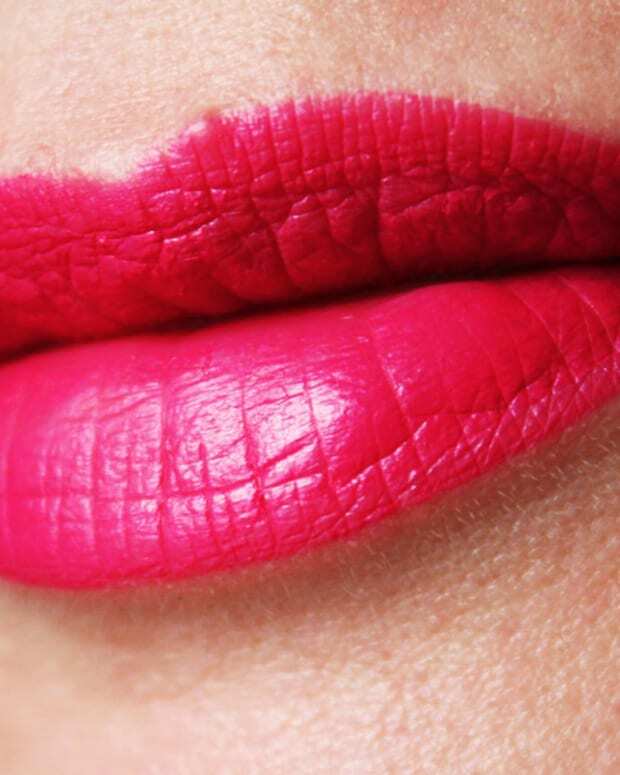 She&apos;s wearing Marcelle Rouge Xpression Lipstick in Paris Rose and Cleopatra ($11.99 each). Rimmel London Lasting Finish by Kate Lipstick is available via well.ca, drugstores and Walmart. Marcelle is a Made-in-Canada brand, available at drugstores; Vanessa Jarman was made in Canada, too.